In the event that Republican Sen. Cindy Hyde-Smith wins the Mississippi runoff election on Nov. 27, the makeup of the Senate Judiciary Committee will shift in favor of the GOP, with a seat currently held by a Democrat flipping red. 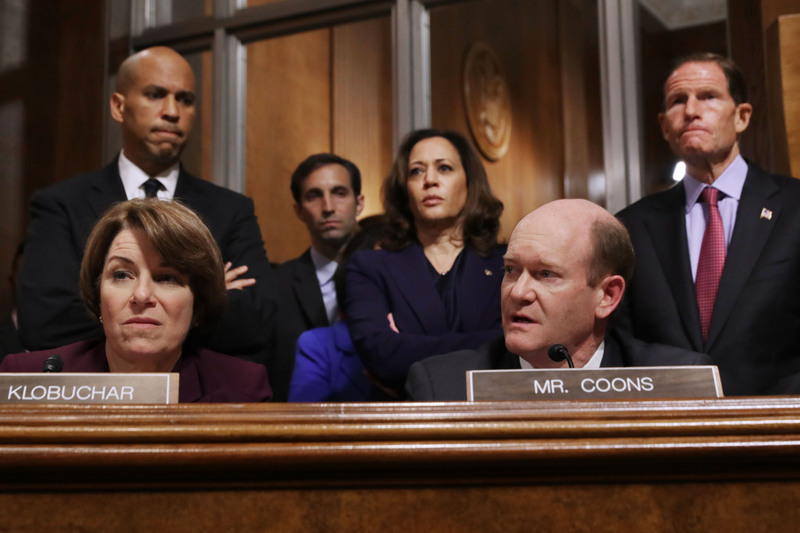 Consequently, Harris, the most junior Democratic member of the committee, will likely be squeezed out. Fallon is the executive director of Demand Justice, a progressive advocacy organization founded to oppose President Donald Trump’s judicial nominations — the Senate Judiciary Committee’s role is to oversee and consider executive nominations. Fallon added that “the backlash would be so intense” if Harris is removed. Democrats have been urging Senate Majority Leader Mitch McConnell to expand the Judiciary Committee so that Harris can preserve her seat, however, no other Senate Judiciary Committee members thus far have offered up their own seats so that she can remain on the committee, including Blumenthal. Blumenthal noted that after Democrats lost the Senate majority in 2014, the committee “magically” expanded the number of seats for him. McConnell’s office has yet to comment on the committee’s party breakdown, however, it is rumored that GOP Sen.-elect Marsha Blackburn of Tennessee may be considered for a Republican seat, reported WaPo. Harris’s spokeswoman said that the California senator would like to retain her seat on the committee. None of the Democratic members on the Senate Judiciary Committee responded to The Daily Caller News Foundation’s request to comment.